When Microsoft launched the Windows Phone 7 mobile operating system earlier this year there was a lot of speculation on its ability to compete with the other Smartphone operating systems on the market. This version of Windows Mobile does not disappoint. 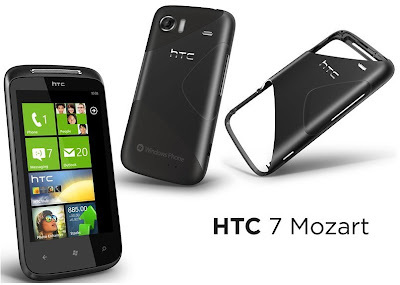 The HTC 7Mozart is a new Smartphone from HTC which has start its operation in India with Tata Docomo. The phone is available in Indian market at a price of Rs. 26490. The HTC 7Mozart is good looking Smartphone having a 1 GHz of processor. The phone has an S-LCD capacitive touchscreen which is 3.7 inch wide. It also provides an 8 GB of internal storage. The HTC 7Mozart not only gives extra ordinary audio and video experience but also provides a high quality 8 MP camera. The powerful battery gives the consumer a talk time up to nine hours with up to two weeks of standby time. 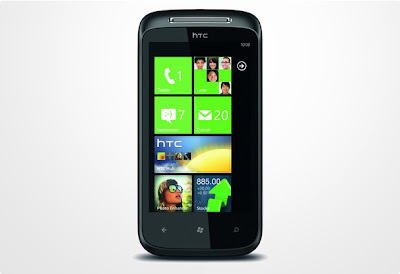 Comparing to the other HTC Windows Phone 7 handsets, the Mozart is more comfortable in terms of size and price. The HTC 7Mozart gives a very good shape for the customers. The back end includes a built in camera which includes a Xenon flash allowing high quality photo even in lower lights. On the front of the phone is a grill for the earpiece and buttons on the sides include the volume rocker on the left, the power button and the headphone jack on the top and the camera button on the bottom. Easy email set up is another feature of HTC 7Mozart which requires only the user name and password to sign up in Gmail, yahoo, hotmail etc. This phone also provides easy typing experience. The HTC 7Mozart includes some new applications which have made the phone more attractive to the users. The phone provides Internet Explorer in order to browse. The phone gives an easier access to Facebook. By its People function you can integrate the contacts from Facebook and also keeping track with the friends' status updates on Facebook. This application also allows you to import contact from your Yahoo, Gmail of Hotmail ID. The HTC 7Mozart is truly a dependable and all inclusive Smartphone including an easy interface which is comfortable to use. As the phone is available now in India, its popularity in India is on a rise. Being an attractive handset and with reasonable price, it is thought to compete the other smart phones available in the market.